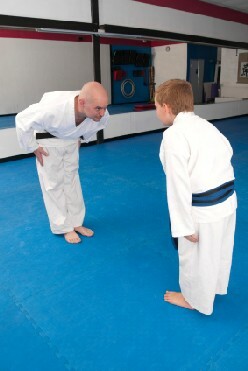 Even the youngest students expect a level of professionalism from their instructors. Remember, children will express their views and opinions to their parents, and such conversations often influence parent’s buying decisions. Doing so could very well pay off for you in increased enrollments and word-of-mouth referrals. The next time you walk into your school, make a point of looking at it with fresh eyes. Look at it from the perspective of someone who is walking in for the first time evaluating the facility as a potential customer. What would they think? In my experience, few school owners pay particular attention to the cleanliness and orderliness of their schools. This is a huge mistake. The way your school looks (and smells) is a big part of how people perceive your facility. In my first school, it was admittedly not in the best location. We had no external doors or windows, it was at the end of a long hallway, and the space was more or less a warehouse facility. Also, I had fixed the place up using a lot of secondhand and bargain basement building materials, which resulted in mismatched floor tiles, and a “DIY” appearance on the fit and finish of the interior. So, we took great pains to keep the place as clean as possible. I’ll never forget the time when we had a female guest instructor teaching, and she walked out of the restroom with a surprised look on her face. “That’s the cleanest bathroom I have ever seen in a martial arts school,” she stated. The point here is that, even if you don’t have the best facilities, you can still make a good impression by keeping them as clean as possible. Also, a fresh coat of paint on the walls once or twice a year and replacing old and worn equipment is a must. If it’s dirty, clean it. If it’s old and worn, replace it. Look at everything in your school with fresh eyes at least once a week, make a list of what needs cleaned, repaired, and replaced, and knock it out immediately. Do you answer the phone professionally… every time you answer? Are visitors promptly welcomed as they walk in the door? Do you return phone calls promptly the same day you receive a voice message? Do you even have a list of procedures to follow that outline how to take a new student from their first contact with the school through the entire enrollment process? Having protocols and procedures in place are what make the difference between amateurs and professionals. Amateurs wing it, while professionals know exactly what to do at every step of the way, because they have a procedure, protocols, and contingency plans in place that they’ve memorized and practiced until they become second nature. Customers can tell when you’re winging it. Over the last few weeks, I’ve been calling martial arts schools in my area while performing a competitive analysis in certain areas of my city. And, I’m amazed at the fact that 50% of the schools I call don’t answer their phones, while the other 50% do not have any basic phone sales training at all. That’s right – NONE of the schools I have called knew a thing about setting appointments and selling over the phone. So, imagine what would happen if just one of them put professional protocols and procedures in place. I can assure you, they’d quickly outdistance their competition and increase their market share dramatically. Be professional. Have professional procedures and protocols in place that cover everything from answering the phones to handling students professionally who are withdrawing from classes. All other things being equal, what separates you from your competitors is how professionally your clients are treated. Over time, this WILL make a huge difference in the volume of your referrals in your community. How well do you treat your clients? Do you have posted policies regarding membership agreements, late fees, cancellations, and attendance? Are you of your word when it comes to enforcing those policies equally across the board? Do you treat every student fairly and without bias or preference based on your posted company policies? Your company’s policies are part of the agreement you make with your customers that says, “I’ll provide ‘x’ service for you, you’ll pay me ‘y’ in return, and if ‘z’ comes up this is how you can expect us to handle it.” Having such policies in place assures the client that you intend to treat them fairly should things go awry, and it also lets them know what they can expect when the unexpected occurs. Is it fair to make someone pay the balance on their membership if they move to another town due to a change of employment? Would you want to continue paying for martial arts lessons if you were permanently disabled due to illness or injury? If you were the student, would you like to have the option to make up classes missed due to illness or vacation by attending extra classes during the weeks following the missed classes? Were you the student, would you appreciate having a three-day grace period before late fees were incurred on late tuition payments? If you were the student, would you appreciate having the NSF fees waived on the first occurrence of a check or EFT payment being returned or rejected for non-sufficient funds? Such policies give the student the benefit of the doubt. In addition, having policies such as these posted in your school conveys the message that, while you do have policies in place to prevent unethical customers taking advantage of the school, you also have the customer’s well-being in mind. “Firm but fair” is a good attitude to have when it comes to drafting and implementing your company’s policies. Professionalism is the result of expertise, experience, competence, caring, and consistency in action. And while any amateur can hang out a shingle and start a school, the professional instructor is one who emphasizes excellence in every aspect of their school’s operations. Elevating your school to the level of such excellence will take you a long way toward securing your financial future as an instructor. Be excellent at what you do, because professionalism is job security for martial art school owners. If you want to find out more about how to achieve success running an honest school, click here. 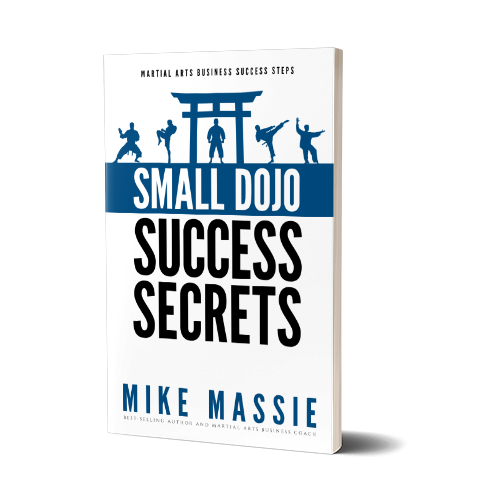 While most, if not all of this is familiar to me since I have your book, “Small Dojo, Big Profits” (and for anyone who is on this site and does NOT have the book, it is a bargain and a GREAT reference: get it!) however, this was a timely reminder. Time to walk in with ‘new eyes’ and see what I can make better and more professional. Thanks Mr. Massie. I echo this whole post today. You hit the bullseye on this one. I recently went to a martial arts school and wanted to take some classes on something that has always interested me (I love to train as much as teach), and the owner did just about everything wrong and his school looked like a tornado went through it (total unprofessional looking dojo). He’s lucky that I REALLY want to learn or I would have been out of there. If he’d just make a few changes to the professionalism of his school’s appearance he would probably double his student count and wouldn’t have to work nights to support his school. Sad… I will mention Small Dojo Big Profits to him when I know he is open to making a change in his career life. Very very good advise. I definitely second that! Thanks for the kind words about the book, David! Yes, we tend to get into a rut with our schools, and habit disguises mistakes. Keeping your school neat and orderly is the first order of business when you want to increase your business. Think about it… you can spend thousands on marketing, but if prospective students are turned off when they walk in because your school is trashed, it’s wasted money. So, keep it clean – even if you’re not in the best facility! Thanks for the referral Jason! I know what you mean – I’ve had the same experience myself. Clean grappling mats are a HUGE issue in this regard. Do you want to take MRSA or ringworm home to your family? I think not! Clean and disinfect your mats twice a day!